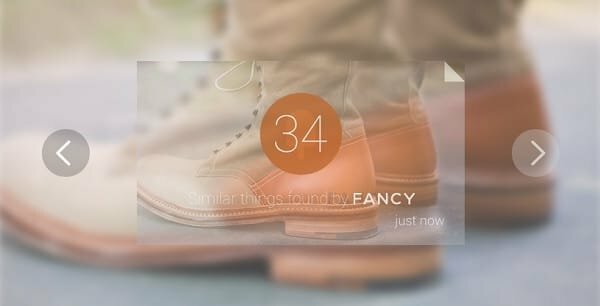 The addictive crowd-curated visual catalog and social shopping site Fancy.com has revealed their Google Glass app for the ultimate in impulse shopping. If you’re not familiar with Fancy.com, it’s similar to Pinterest, but more focused on products and visuals, with a more balanced male/female user base and the option to buy and sell through the site. Their Fancy App lets you search by items and by color, to find similar and matching items to add to your Fancy lists and even purchase it right there. Check out the video to see it in action. And lets just hope when Google Glass is released it has a built-in breathalyzer to help prevent the spread of drunken online shopping into the streets. If you somehow already have your hands on a pair of Google Glasses and want the app or just want to learn more, click here. If you’re on Fancy.com, follow us at Simon Gerard and Luxury Branded.